, our full address is 12914 167 Ave NW, Edmonton. We are Number 1 reviewed Cosmetic and Laser Center in Edmonton With highest clients' satisfaction rates. In 2018 we won the community choice award for medical Spa and we are nominated for the prestige 2019 Top Choice Award. Our mission is to help you be the Younger Version of Yourself (YVY), to restore your beauty and to help you to shine again with our services. Our vision is to combine advanced science, techniques and customer services for the best and most affordable cosmetic treatment results. Be honest, client-oriented and provided the best economic treatment for your clients. Provide the most effective, but least expensive treatments. We make sure that we bring only the best machines and use the best products in the cosmetic industry such as Botox name brand and Juvederm Hyaluronic acid fillers. The wise choice of the injectable materials along with the exceptional knowledge and experience of our medical staff results in best outcomes. Regardless of your beauty needs, we are one-stop shopping center for all your cosmetic wishes. Dr. Alhallak developed passion towards cosmetic injections and had training in the best training centers in Canada, USA, Turkey, and Korea. He started to develop new injection techniques and has one of the best client satisfaction rates in Alberta. 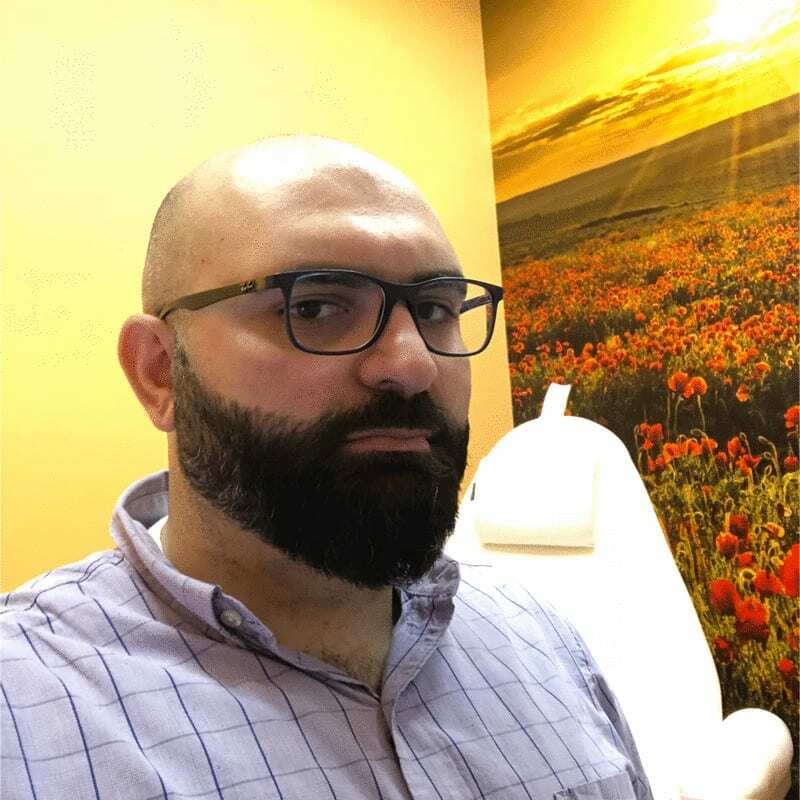 For instance, Dr. Kamal always spends at least 15 min in consultation with his clients, before providing any service such as botox, fillers, PRP, facial Plasma, PDO Threads. This is essential to clarify to every patient the procedure, the benefit and risk of the treatment he/she about to receive, the expected results and downtime. especially for Botox, fillers and PDO threads. Although he injects Botox for its regular Botox indications such as smile lines, forehead lines, frown lines, however, Dr. Ahallak is one of the few people who can use botox to reshape lips and eyebrows. He also uses the Botox for face slimming and neck lift. Susan is the clinic manager; she has over +20 years of experience in laser treatment and skin tightening. During her long experience and confidence, Susan developed a specialty in Melasma and pigmentation removal, along with other sensitive treatment such as microneedling and Ulthera. Moreover, together with Kamal, they were able to develop special protocol treatments for skin hyperpigmentation, melasma, severe acne cases, and many other resistant cases. Moreover, she provides all other regular services such as chemical peel and laser peel. Even though she is young, however, Andrea was able to exceed all expectations. For example, after getting her certification in medical laser applications, she started with Laser hair removal until she mastered it, then after, she-she got her training in Albany cosmetic and laser center, to master all other treatments. Along to Laser hair removal, she is specialized in Body shaping using Coolsculpting and sculpture and tattoo removal. She is also a professional with using our Silk Peel microdermabrasion, fractional radio frequency. She showed amazing results with double chin removal, stretch marks removal, cellulite removal, underarm whitening, vascular lesions, double chin, and plasma pen. Feel free to schedule a free consultation with any of our staff, it is totally free and will give you more information and the issue you are having and possible options for treatment.